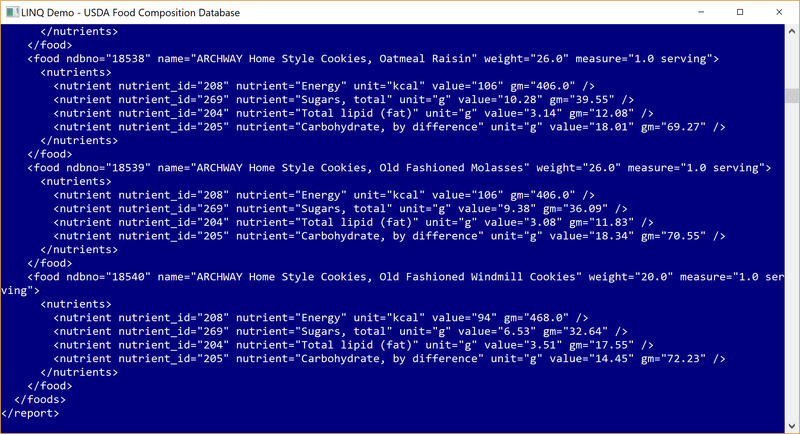 A simple windows console application that demonstrates some very complex LINQ (Language-Integrated Query) code where you can query an XML file (as an embedded resource) at the parent level and descendant nodes and their attributes to display the output to the console. The program also allows you to read the entire XML file on the console screen as a reference. 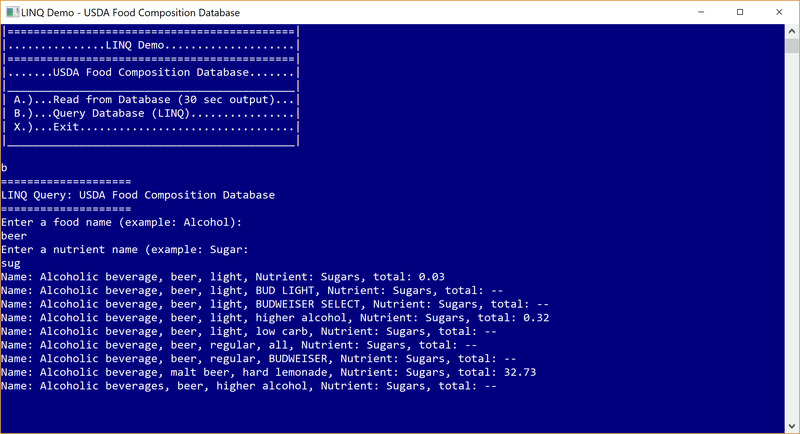 The sample XML is a listing of approximately 100+ food items and their nutrient compositions from the USDA Food Composition Databases. Comments: I chose the USDA Food Composition Databases as an XML data source and only a tiny percentage of the database for this project. You can download the data to XML or consume through Web API (see WEB API for project examples). This code may help you in your XML LINQ coding challenges as a reference.